Matt is an Associate with Concentric Equity Partners and joined the firm in 2018. He is responsible for originating new investment opportunities, executing new investments and working with portfolio companies. 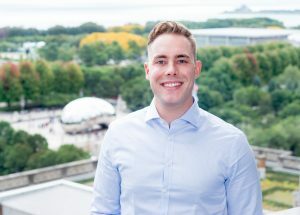 Prior to joining Concentric, Matt was an Investment Banking Analyst with Barclays in the firm’s Chicago office, and was a member of the Financial Sponsors Group. While at Barclays, he provided support on mergers and acquisitions, equity offerings, leveraged buyouts and financings, and other financial advisory services across a variety of industries. Matt graduated with High Honor from the Eli Broad College of Business at Michigan State University with a B.A. in Finance.